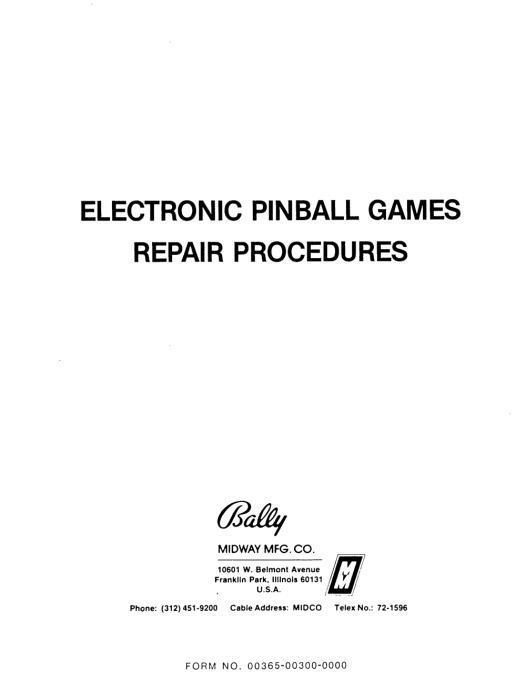 This is the 3rd revision 80 page factory repair manual #FO-560-2 for the very popular BALLY (and STERN) electronic coin-op games made from 1977 through 1980. Good condition. One of these books was shipped in every new BALLY machine made in this era, but most seem to have disappeared just when you need them most. 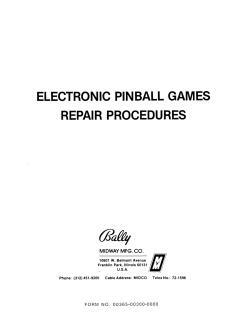 This is the single most useful document for taking care of your 77-80 BALLY or STERN electronic pinballl machine.